In our construction industry trends roundup from last year, we reported on virtual reality, 3D-printed structures, autonomous construction equipment, and UAVs. We also highlighted the fact that the construction industry as a whole was slow to adopt these emerging technologies. Now, technology adoption in the construction sector appears to be trending upward. According to McKinsey, investment in construction technology firms has doubled in the last decade, and is continuing to accelerate. On the client side, an increasing number of construction pros report being comfortable or very comfortable with new technology. However, in 2019, technology will not be the only driver of change in the construction industry. Operational trends and shifting mindsets are poised to play a critical role in the success or failure of construction firms worldwide. Let’s take a look at some of the technological and operational trends that will shape the construction industry in 2019. WHICH TECHNOLOGIES HAVE EMERGED... AND WHICH HAVEN'T? Of the four emerging technologies we covered last year — virtual reality, 3D-printed structures, autonomous equipment, and UAVs — everything except virtual reality gained traction in 2018. 3D printing, rather than being a mechanism for the creation of entire structures, has helped some firms shift to modular, manufacturing-style business models, in which materials are standardized and produced off-site in large quantities. According to McKinsey, this model could boost the construction sector’s output by a factor of ten. UAVs, in addition to being used for aerial photography, have benefitted from improvements to photogrammetry technology. 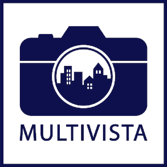 Now, companies like Multivista are able to offer their clients interactive project3D maps created automatically using aerial images. These maps can be used to accurately measure elevation, volume, area, and distance to improve a number of project workflows. Autonomous construction equipment companies continue to receive investments from venture capital firms, who believe their technologies will disrupt the industry and improve safety. For example, one startup recently raised $1.35 million USD to help develop its autonomous crane technology. While robotic equipment manufacturers threaten to make some construction workers obsolete, other firms are working to empower them. Exosuits, or exoskeletons, are wearable devices that use either powered or non-powered mechanisms to enhance workers’ abilities to complete physical tasks with less stress on the body, thereby limiting risk of injury. Some models even give wearers the ability to lift extremely heavy objects. Exosuits have already found a home in healthcare, where physical therapists are using them to help rehab patients recover from injuries. 2019 might be the year we see them make the leap into construction. For construction companies with large fleets of vehicles or big long-term projects, IoT technologies (and the data-driven insights they make possible) could drastically decrease costs and improve project turnaround times. While technology will certainly play a big role in changing the construction industry in 2019, we predict that shifting operational strategies will have an even larger impact. Because there are so many separate entities involved in any one project, the construction industry faces unique challenges when it comes to optimizing communication and inter-team workflows. With developers and contractors increasingly adopting lean and just-in-time construction methods, addressing these challenges will almost certainly be a priority for construction operations professionals in 2019. One strategy for addressing these issues is improved record-keeping. Photographic construction documentation services that map images to interactive cloud-based floor plans, for example, help construction professionals verify satisfactory completion of work and keep projects on track. Improved visual documentation can also be used to communicate with stakeholders throughout the building lifecycle, keeping developers, owners, contractors, subcontractors, and facilities teams looped in on the same high-quality information. As construction leaders become more open to change, their decisions will drive competition for exciting new solutions. Whether it’s evolving technology, shifting operational mindsets, or something completely different, we feel confident predicting that 2019 will be a year of disruption for the construction industry. Download our free guide to learn best practices on how you can take effective construction photographs.